When people think about Hawaii, most people will conjure up thoughts of Honolulu and the island of Oahu with its pristine waters, dramatic lush green mountain ranges, hula dancing, and shaved ice, just to name a few. Honolulu is never too hot nor is it ever too cold. When it rains, it sprinkles refreshing droplets from the heavens. Suffice to say, I really hope you have more than 48 hours to spend in Honolulu, but if you’re constrained for time and want to see the best that the island has to offer, follow this 2 day itinerary that I followed for a trip with my parents. Where to stay in the Honolulu? If you’re able to splurge, my vote for best hotel in Waikiki in Honolulu has to be the Hilton Hawaiian Village. Looking for ideas for other activities? It’s going to be a long day so prepare yourself! The morning starts off with a visit to Cafe Kaila, the local breakfast favorite. Known for their scrumptious blueberry cream cheese french toast and Belgian waffles. You better get there when it opens at 7AM or you’ll have to wait in line. Filled up to the brim, it’s now time to walk it off. Make your way over to Pearl Harbor and the World War II Valor in the Pacific National Monument by car and spend the rest of the morning exploring the various exhibits that will get any World War II buff excited. Make sure you get tickets for the USS Arizona Memorial Tour right when you get there which consists of a 25-minute documentary film and a boat trip out to the Memorial. After the somber mood of reflecting over the turning point of World War 2, it’s time to hit the road again to take care of that growling appetite. Beyond the paradise metropolis of Honolulu, on the other side of the island, is an area known as the North Shore. While some folks know it for its epic surf, most visitors make the drive up to one of two things. 1) Go to Romy’s Shrimp Truck and 2) Slurp over the island’s famous Matsumoto Shave Ice. Of course, there’s Turtle Beach as well, but we’ll leave sand and sun for tomorrow. A critical note about getting to Romy’s is that it is farther than you may think. As you drive your way around the northern ring, you’ll pass Turtle Beach and you’ll be going for awhile, wondering if you’ve missed it. Trust me, keep going. Don’t turn back. Romy’s can’t be missed on the left side. After all that deliciousness, make pit stops as suits your interests and on the way back down to Honolulu, see if there’s time to squeeze in the Dole Pineapple Plantation off of Highway 99 which closes at 5PM. It’s a little bit of a tourist trap, but still fun just the same, especially for the kids. The pineapple maze is lots of fun as is the Pineapple Express that takes you around the grounds. Most likely you won’t have much time though, so I’d recommend checking out the Dole store and indulging a bit more with their pineapple soft serve. After an eventful day, it’s time to wind down. If you haven’t yet check into your Honolulu hotel or rental and if you have, now would be a great time to drop things off and change. 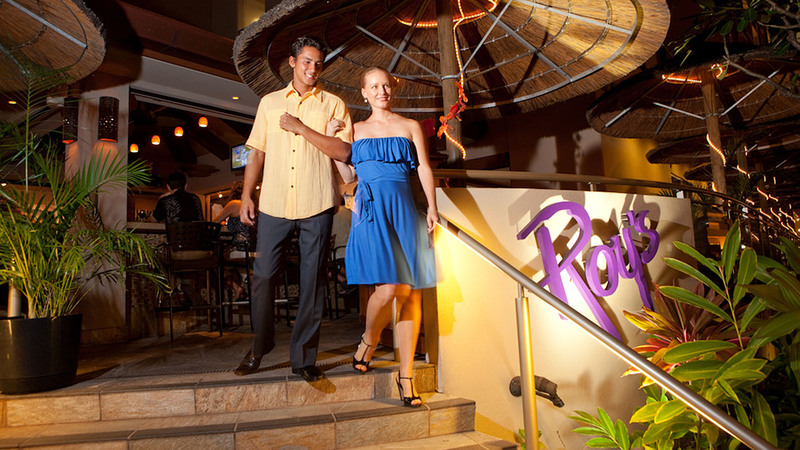 For dinner, there are so many options in Waikiki, but one restaurant that’s a staple for Hawaiians is Roy’s. Their menu by Chef Yamaguchi serves up a delectable mix of sushi, seafood, and Asian fusion. I would definitely recommend making reservations here as it does get quite busy. After that you’re free to roam around Waikiki. If hop on hop off tours are your thing, make sure to check out City Sightseeing. Enjoy the rest of the night before heading back to your hotel. Keep in mind that there are plenty of cheap Honolulu hotels so definitely search around. The fun continues on day 2. Start the day off heading towards the east side of the south shore. You can either eat breakfast at your hotel or grab something along the way. Your morning begins with snorkelling in perhaps the most beginner-friendly snorkel place I’ve ever been to. Hanauma Bay Natural Preserve is a natural ring formed bay that has a diverse population of marine life and rich coral reef. Designated a natural preserve, it’s become an extremely popular tourist destination, which is why you’re there early in the day. The parking lots are known to fill up quickly. After the $7.50 admission and mandatory short video on snorkel etiquette, head down to the beach and find a comfy spot to set up for the rest of the morning. Snorkel gear can be rented at a steep price here so I’d recommend bringing your own. There are a ton of fish to see and many have spotted turtles here. What makes Hanauma Bay great for snorkelling is that it’s shallow almost all the way through to where the buoys are. For lunch, drive across the street to Koko Marina Center where you’ll find a strip mall with an assortment of restaurants. Kona Brewing Company is great for pub bites and Bubbies is a local favorite for mochi ice cream. Refueled, it’s time to head over to Diamond Head State Park where you’ll literally drive into the center of the crater to start the hike up. As one of Hawaii’s most recognizable landmark, the 0.8 mile hike from trailhead to summit is steep and strenuous but completely worth it once you see the stunning coastal views and of Waikiki down below. There is an entry fee of $5 per vehicle. Budget at least 2 hours for the round trip. Make your way back into Waikiki and stop by a Foodland grocery store to pick up a few supplies for your evening festivities. You’ll want to pick up a disposable BBQ set – an all-in-one complete set that comes with charcoal, a foil pan, grill, and stand. On top of the grill, make sure you grab some supplies for drinks, hot dogs, and burgers. I would also recommend buying a flashlight or headlamp if you don’t have one packed with you. True, this may sound a little unconventional, but what better way to spend an evening at the beach than to have your own private BBQ? Head down to Waikiki beach and if you’re there on a Friday, I would recommend situating yourself closer to the Hilton Hawaiian Village. The fireworks start at 7:45PM and you’ll be treated to a spectacular “over the rainbow” light show choreographed to music. Grilling and fireworks – it doesn’t get better than that! For your last evening, take a nice stroll by the beach, pick up last minute souvenirs at the ABC store, and buy some delicious shortbread cookies at the Honolulu Cookie Company. This 2 day Honolulu itinerary is going to blow by you but as you can see it gives visitors a great glimpse of some of the highlights the island has to offer. It certainly won’t be enough to cover everything but hopefully all that means is that you’ll start planning your next trip once you get home. The iconic Hilton property along the Waikiki beach that is in the most prime location, has their own fireworks, and doesn’t charge a resort fee anymore! At close to $100 a night, this is a great property to think about if you want to be in Waikiki. Located only 10 minutes’ walk from Ala Moana Shopping Center. Get Your Guide is a recommended activity platform for any type of activities you’re looking to do in Honolulu. The ones highlighted here are likely to sell out so make sure you book and reserve ahead of time as you plan your vacation. Fun ideas! I love Haunama Bay and the North Shore of Oahu! Thanks Emma! Do you work for TripHobo? thats awesome I always wanted to visit hawai!